Click here to see my Google Scholar page for up to the minute updates. This paper details the methodology needed to create replicable, quantified records of Sr/Ca from stalagmites using Core Scanning X-Ray Fluorescence. This new method is potentially faster and cheaper than traditional ICP-MS techniques, and is non destructive to the stalagmite too. Our new 1,700 stalagmite record from Anjohibe cave in northwestern Madagascar, looking at the history of the Madagascan monsoon and how it relates to the Oman monsoon in the northern hemisphere and rainfall in tropical east-Africa. 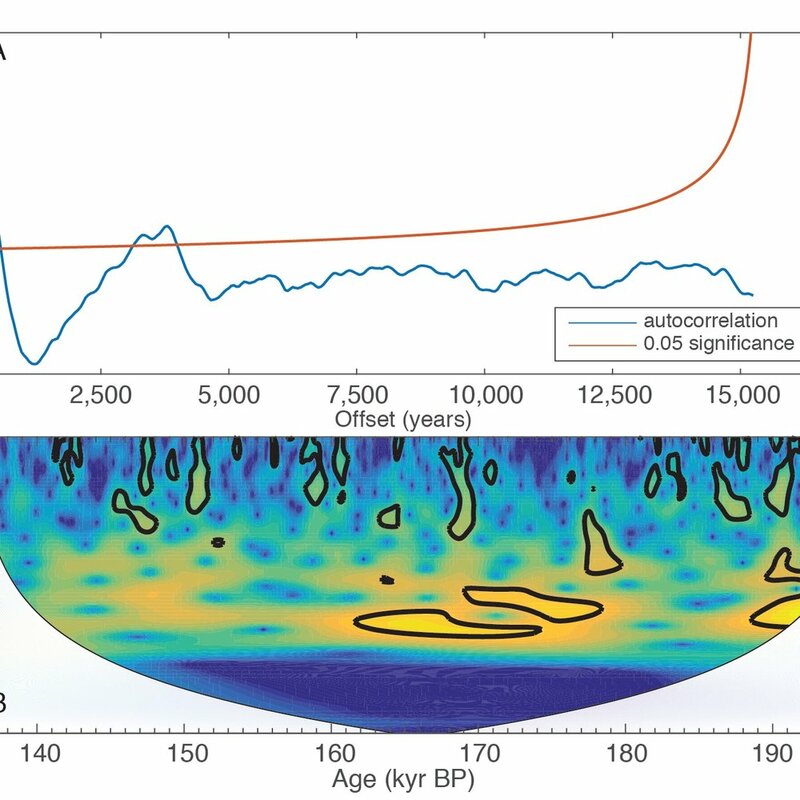 We investigated the distribution of stalagmite basal ages back through time, and discovered a remarkable exponential relationship. This relationship suggests that older stalagmites become harder and harder to find because they get destroyed (natural attrition) at an approximately constant rate. This means that random sampling of stalagmites will not generate long term records without huge amounts of waste and destruction to the cave. Therefore paleoclimate scientists should be dating stalagmites before removing them, in order to preserve the cave environment. 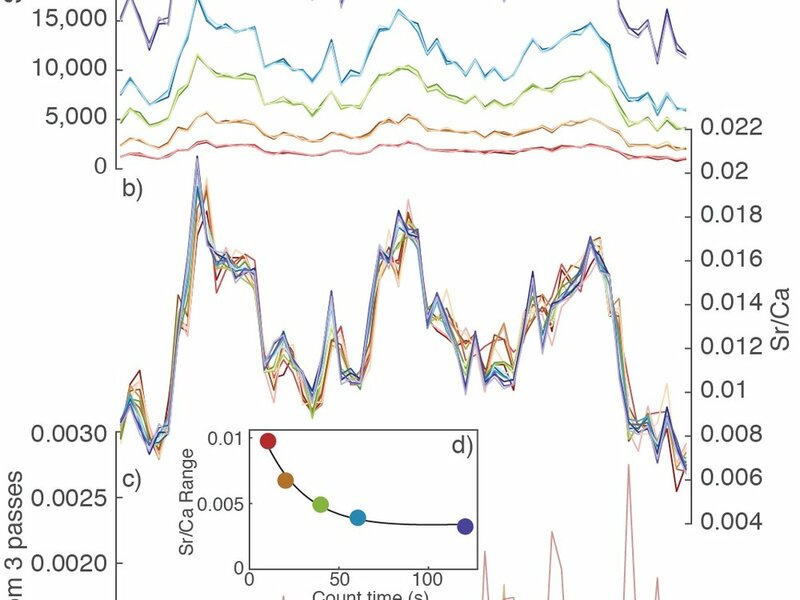 By accounting for this 1st order relationship we can then use the residual frequency distribution as a proxy for changes in stalagmite growth initiation, which can be used as a paleoclimate proxy. 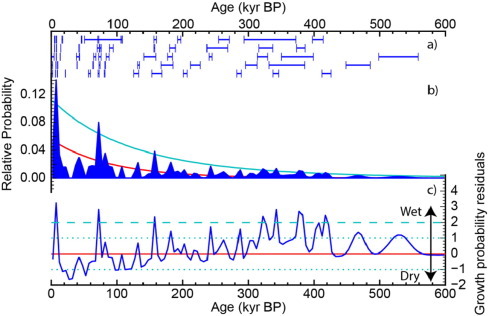 During the Pliocene, the Pacific Ocean is said to have been in a Permanent El Niño state with important climatic implications for global climate. But since previous studies which only looked at the average state of the climate over many years, it was unclear as to whether this meant that the average state was similar to a modern El Niño, with inter-annual variability around it, or whether the climate was stuck in a permanent El Niño. 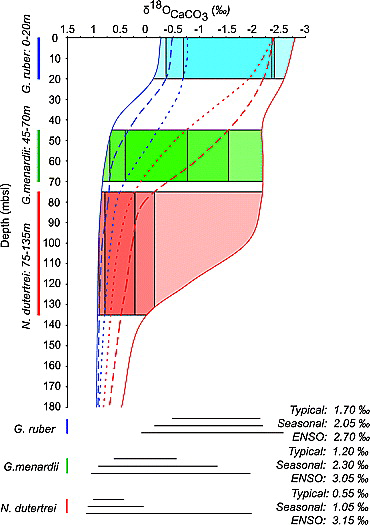 We used individual foraminifera analysis, combined with the HadCM3 model, to show that despite the El Niño-like mean state, ENSO like variability still existed, with the thermocline fluctuating through the photic zone on inter-annual timescales.